The Jack Casady Signature Bass was designed by Casady in collaboration with Epiphone and is the culmination of years of experimentation by the Jefferson Airplane and Hot Tuna bassist to find an instrument with superb, balanced electric tone and the response of an acoustic bass. Casady is one of the rare rock bassists known by both fans and players for his signature tone. And like The Beach Boys' Brian Wilson and The Beatles' Paul McCartney, Casady became a bass player after years of study on other instruments. "My first teacher was a big band guitarist named Harry Vorhees. Later on I took from a number of guitarists; one was Bill Harris who was the guitarist for the Clovers," Casady told Epiphone.com. "He had studied with a guy who studied with Andres Segovia." "When I first started playing, I ran across a short scale semi-hollow bass," said Casady "Despite lacking some low end, I really enjoyed the semi-hollow nature of that bass and over the years tried to capture that characteristic." Casady did find a rare Les Paul bass that came close to the sound he was seeking. "In 1985, I was living in New York and happened to stop in a music store one day and saw a goldtop, full scale semi-hollow Les Paul bass," Casady recalled. 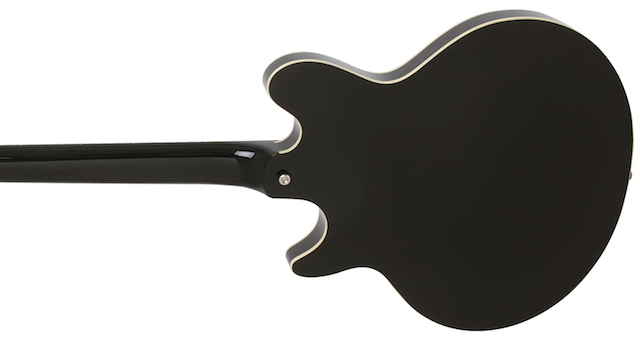 "I loved the bass but found the pickup to be deficient." Casady approached Epiphone with his ideas and with help from our Epiphone luthiers, Casady fulfilled a life-long dream by designing the perfect electric bass. Like all Epiphone’s, the Jack Casady is covered by our Limited Lifetime Warranty and Gibson 24/7/365 Customer Service. It’s your music and you deserve the best. 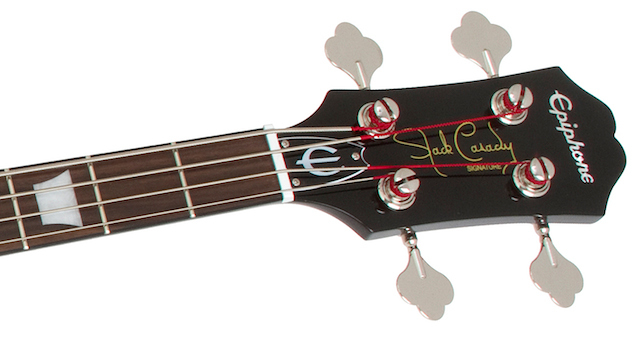 Visit your Authorized Epiphone dealer today and pick up the Jack Casady signature bass. 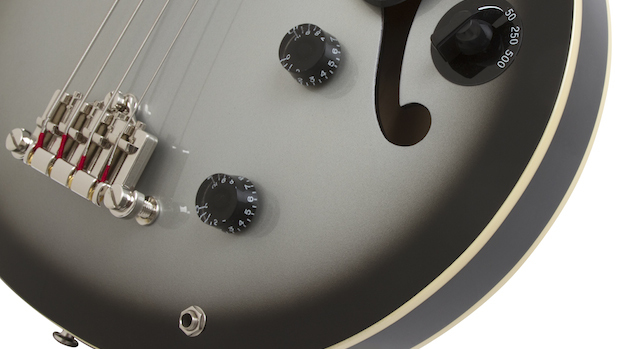 The Jack Casady Signature Bass features a maple body with a maple top in a stunning Silver Burst finish. The hand-set mahogany neck has a 34" scale with a rosewood 12" radius fingerboard, a 1.6535" nut, and Jack’s signature on the headstock. The Jack Casady Signature Bass features nickel hardware, classic style 19:1 ratio tuners, and a 3-point adjustable bridge exactly like what the Rock and Roll Hall of Famer uses on-stage. Casady insisted that his own personal basses should be no different than any Jack Casady Signature you'd find in a store. "Every year I get two new instruments that I take out on the road," says Casady. "No ringers. I have none that are set up a special way or anything like that and they are great."